Townend, Paul. "August Schellenberg". The Canadian Encyclopedia, 16 November 2016, Historica Canada. https://www.thecanadianencyclopedia.ca/en/article/august-schellenberg. Accessed 22 April 2019. August Werner Schellenberg, actor (born 25 July 1936 in Montréal, QC; died 15 August 2013 in Dallas, TX). August Schellenberg is a powerful and versatile actor who has performed in hundreds of stage and film productions both in Canada and the US (photo courtesy August Schellenberg). August Werner Schellenberg, actor (born 25 July 1936 in Montréal, QC; died 15 August 2013 in Dallas, TX). A versatile character actor who projected power, dignity and vulnerability, August Schellenberg was a trailblazing actor, the first Aboriginal person ever to graduate from the National Theatre School (NTS). 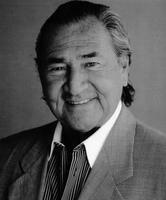 He is best known for his roles in the Genie Award-winning Black Robe (1991) and three Free Willy movies (1993–97), and for his multiple portrayals of Sitting Bull. He appeared extensively in theatre, film and television, and received numerous honours, including a Gemini and a Genie Award, and a Lifetime Achievement Award from the NTS. Schellenberg was born in Montréal to a Swiss-German father and a Mohawk-English mother. A boxer and champion diver, he grew up in a foster home and dropped out of high school to support himself, working as a delivery boy, waiter, bouncer and dockworker. In 1963, at age 27, he read a Time magazine article about the NTS. He applied, auditioned and was accepted, even though he had never seen a play and had to lie about his age to meet the requirements. He graduated from the NTS in 1966 and spent six months performing at high schools around Ontario with Toronto's Crest Theatre Hour Company. In 1967, he joined the Stratford Shakespeare Festival and received the coveted Tyrone Guthrie Award for Most Promising Young Actor. Schellenberg performed in hundreds of stage productions across Canada and the US, with credits ranging from Shakespeare and Beaumarchais to Robertson Davies, George Bernard Shaw and Tennessee Williams. He worked with the Charlottetown Festival in Charlottetown, the Neptune Theatre in Halifax, the Centaur and Saidye Bronfman theatres in Montréal, The St. Lawrence Centre, Young People’s Theatre and Theatre Plus in Toronto, Rainbow Stage in Winnipeg and the Bastion Theatre in Victoria. In the US he appeared at the Guthrie Theatre in Minneapolis, the Dallas Shakespeare Theatre in Dallas and the 66th Street Armory in New York, among many others. One of his signature roles was the doomed Jaimie Paul in George Ryga’s groundbreaking drama, The Ecstasy of Rita Joe, about racial prejudice faced by Aboriginal peoples in Canada. Schellenberg starred in the 1967 premiere at the Vancouver Playhouse and the 1969 production at the National Arts Centre in Ottawa, the first play performed there. He first played Sitting Bull in 1974 in Sharon Pollock’s acclaimed Walsh at Theatre Calgary, and went on to play such varied roles as Stanley Kowalski in A Streetcar Named Desire, Oscar in The Odd Couple, Nick Arnstein in Funny Girl and Enobarbus in Antony and Cleopatra. In 2012, he realized a lifelong dream by playing the title role in an all-Aboriginal production of King Lear at the National Arts Centre. Schellenberg appeared in numerous Canadian films, beginning with Rip-Off in 1971. Other notable titles include Between Friends (1973), One Man (1977), Robin Spry’s Drying Up the Streets (1978), Heavy Metal (1981), Cross Country (1983), Don Shebib’s Running Brave (1983) and the Oscar-nominated NFB short, The Painted Door (1984). 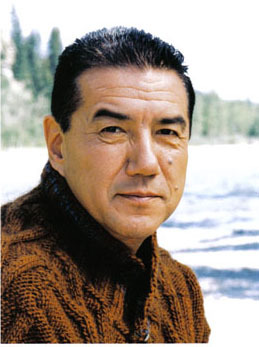 He received Genie nominations for best lead actor for L'Affaire Coffin (1980) and Latitude 55 (1984), and won a Genie Award for best supporting actor for his portrayal of the philosophical Algonquin Chief Chomina in Black Robe (1991). The success of that film led Schellenberg to Hollywood and the role of Randolph Johnson, the Haida handyman at an ocean aquarium in the popular Free Willy (1993) and its two sequels. In 2005 he played Powhatan in Terence Malick's The New World. Schellenberg won the Gemini Award for best actor for The Prodigal (1983) and was nominated in 1996 for best guest actor for North of 60. He appeared in numerous series in both Canada and the US, including The Littlest Hobo, Road to Avonlea, Lonesome Dove: The Series, Walker: Texas Ranger, Due South, Saving Grace and Grey's Anatomy. His many made-for-television movies include Riel (1979), The Return of Ben Casey (1988), Geronimo (1993), Lakota Woman: Siege at Wounded Knee (1994), Dreamkeeper (2003) and Crazy Horse (1996), his second portrayal of Sitting Bull. His third, in Yves Simoneau’s Bury My Heart at Wounded Knee (2007), earned him an Emmy Award nomination for Best Supporting Actor in a Mini-Series. Schellenberg taught acting seminars at Toronto’s Centre for Indigenous Theatre and York University, and held motivational workshops at schools and community centres across North America. 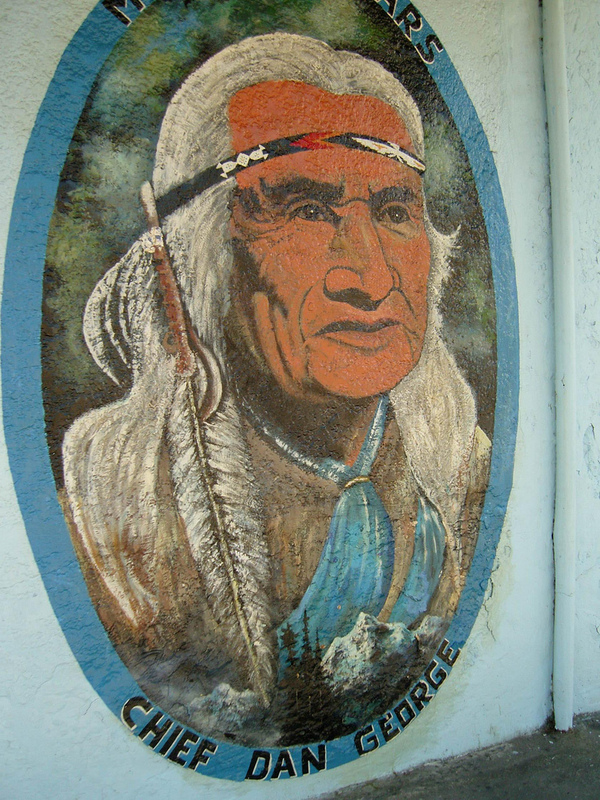 He also supported such charities as The American Indian College Fund and The National Aboriginal Achievement Foundation. He moved to Toronto from Montréal in 1967 and relocated to Dallas, TX, in 1995 with his wife, actress Joan Karasevich, to be close to their daughter.